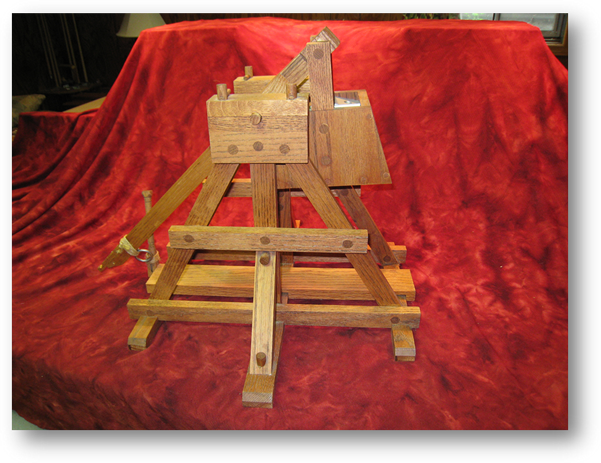 Based on the trebuchet (or catapult) from the middle ages, this real working model is made of solid red oak. In the top picture, the arm is locked and loaded, ready to fire. The vertical handle you see on the left is pulled back. That releases the ring attached to the swing arm. Get out of the way when that happens! 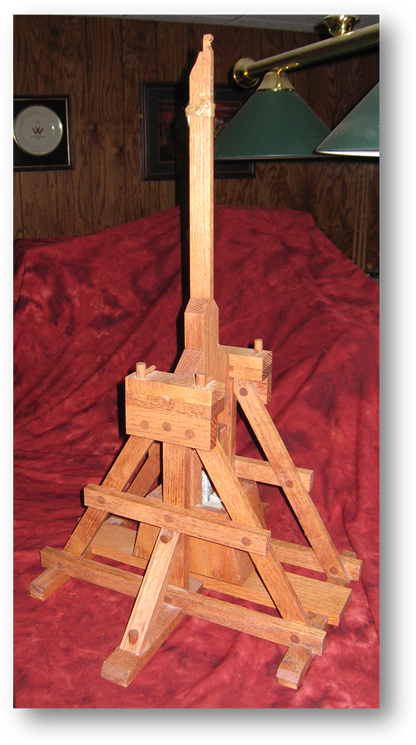 The only metal in the entire piece is in the counterweight. The pins on top are removeable and the swing arm can be completely removed without tools. All dowels are perfectly fitted meaning no racking or flex. This allows all the energy to be transferred to the arm.